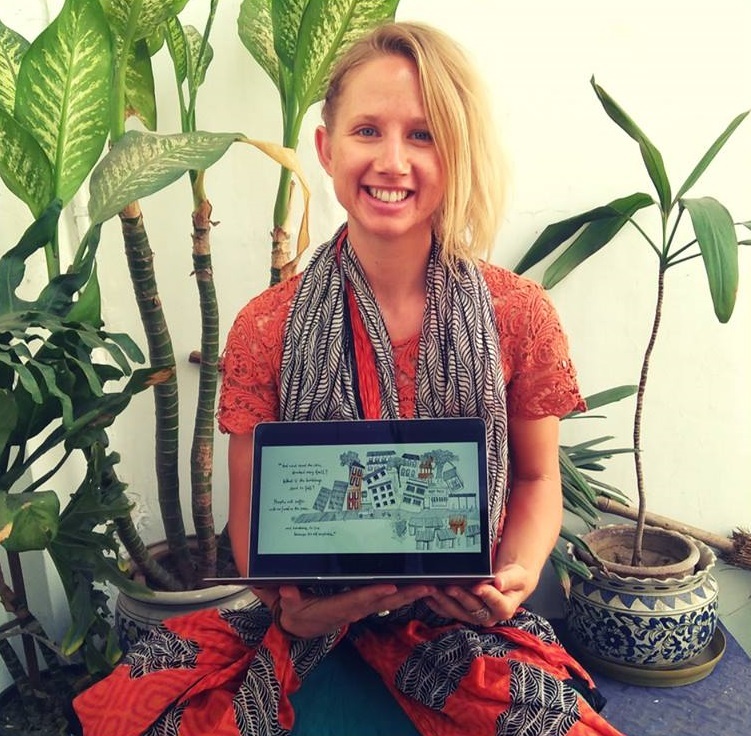 Satya Loka supports a project founded by one of our graduates called Sophie. 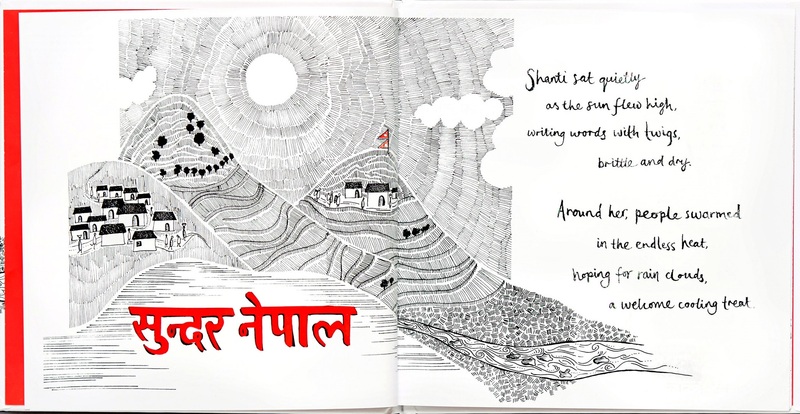 Her experience in Nepal during the earthquake in 2015 inspired her to write “The Country That Shook”, a project that supported the rebuilding of a school. 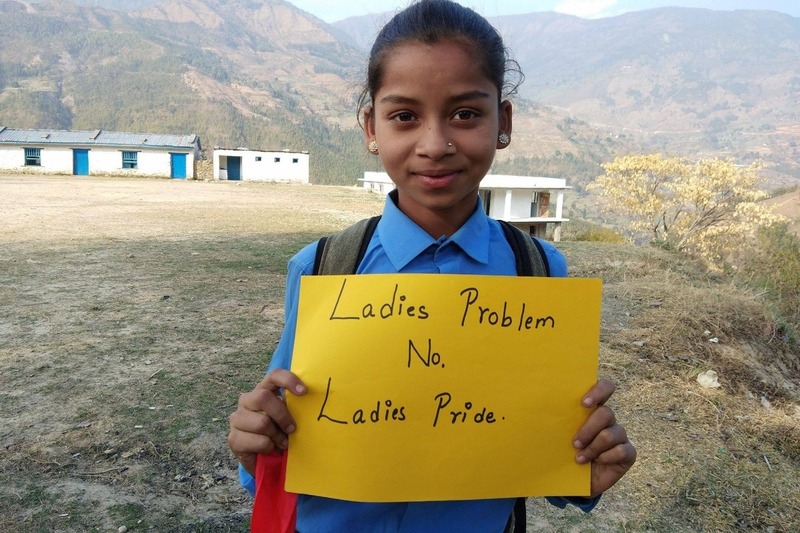 Now she raises money to support the women of Nepal with sanitary pads. 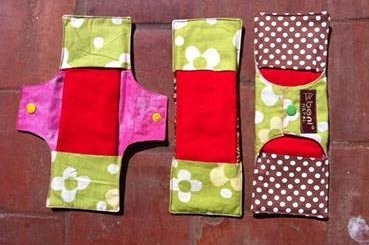 Most women and girls in rural Nepal have no access to sanitary towels and tampons for their menstruation. Many of them will never even have heard of such a concept as a disposable towel, like we use in the West, and if they have then they can’t afford them. And of course, in these remote areas disposable towels would be incredibly bad for the environment as there is no waste system so the used pads would have to be disposed of in the countryside. Currently most women use a cloth which can lead to infection and other complications. This campaign is to raise money to supply reusable sanitary towels to women and girls in a rural village called Baseri in Dahding district. The towels are handmade using natural cotton, generating income for local people in Kathmandu. 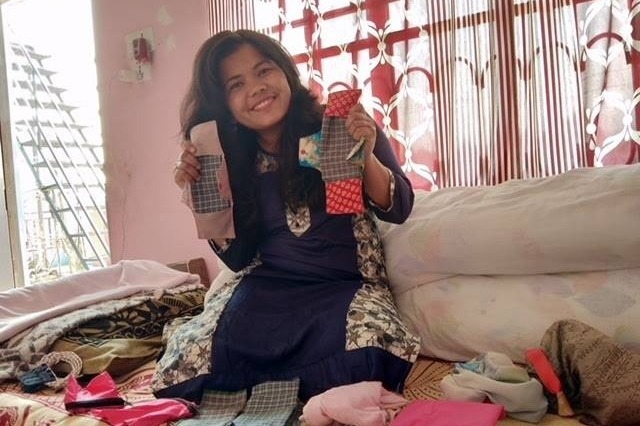 A kit for one woman costs $15 (around £11) and contains knickers, several day and night time pads, a base pad holder with waterproof backing, small washing line and pegs which all comes in a draw string bag for their discretion. The Country That Shook is a project raising money to fund a school reconstruction in Nepal after the 7.9 richter earthquake in April 2015. Our Satya Loka graduate Sophie was there during the disaster, and shortly afterwards she wrote and illustrated a beautiful children’s story which is for sale, along with individual prints of the unique illustrations and printed t-shirts. All the funds are going to a remote school called Shree Barbot in the mountains, east of Kathmandu, which has now been reconstructed and needs resources and equipment. To date the story has paid for two classrooms, the toilet block and the start of the library.